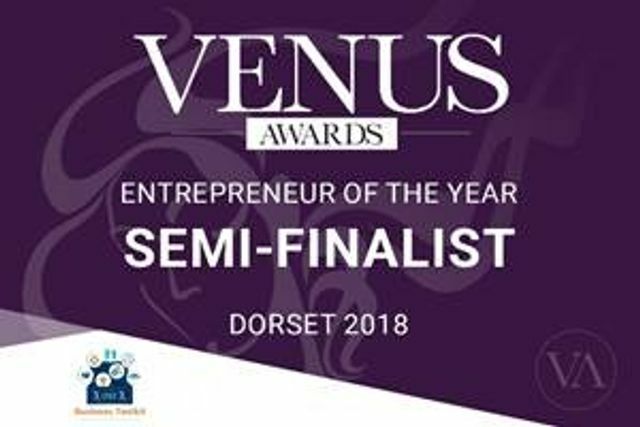 I am honored to have been nominated for the Venus 2018 Entrepreneur of the year award. To be recognized for the work I have put in to growing Morning Data makes me incredibly proud of what I and my team have achieved. This has given me a moment to reflect about the journey to this point and where I see the future going. I took over Morning Data in 2004 from my Father. Taking over a family business seems a natural passing of the baton, in this case from father to daughter. But in fact, the reality is that there is a whole world of previously unknown elements that cascades down very quickly; From understanding profit and loss accounts, R&D tax breaks, employment law, health and safety, contracts, margins, metrics, shares, plans, innovation, PR, corporate image and ethos, securing the right senior skills and talented workforce the list goes on. This is the cold reality of being an entrepreneur, you do not have a day job or a specialised area of the business to flourish within, in essence your day job is what no one else is picking up, the responsibility for all aspects of the business and then tying it all in to one. There is no time off or respite, indeed Morning Data has been a child, a parent, a passion, a tyrant all rolled in to one. With this responsibility comes the joy and satisfaction of seeing your company grow and the people you work with develop. The success of the work is a real joy when you see the fruits of your labour come to fruition. However, it’s not all a satisfyingly smooth ride, just how every success of the company fills you with joy, every struggle brings with it the dark times. During the financial crisis we lost our first client, something I hadn't thought really happened, but it does. Faced with choices of making redundancies or across-the-board pay cuts, I decided to ask the team what they thought and get buy-in for the decision. Everyone kept their job and the journey bonded the team and created real commitment to push through. This was my first truly difficult decision as Manging Director, the staff are the company and any hardship they face the company faces. That brings a kind of loneliness, decision making rests with me at the end of the day, knowing you have instilled the bond of team spirit within the staff makes the darkest times easier to see the way forward. That said the first lesson you really learn is “Cash is king”, and hard decisions must be made to ensure that cash flow doesn't stifle the bigger picture. Talking to the bank, being open and thinking outside the box and most importantly asking for help and advice. After cash, Value your network! The people you meet along the way do not always present obvious answers to questions, sometimes questions you are not sure you have - the Donald Rumsfeld effect, “the unknown unknowns and unknown knowns....”. This means conversations that start with a real sense of "they know exactly what they are talking about, I must do what they say” began to evolve into " maybe there are some useful tips in this, but I am pretty good at this myself - listen and merge"
So now looking at a profitable SME software house in a very niche market upholding a good reputation with loyal clients and strong team is actually pretty good. Everyone else doesn’t always know all the answers, keep your ears open for good advice but your brain open to filter out the crud.